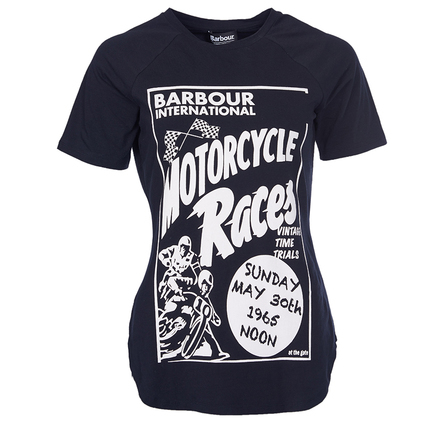 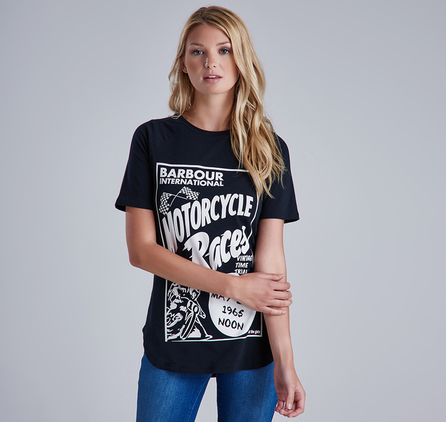 Inspired by Barbour's motorcycling heritage, the Springer Scoop Tee features a vintage-style scrambler race ticket print. 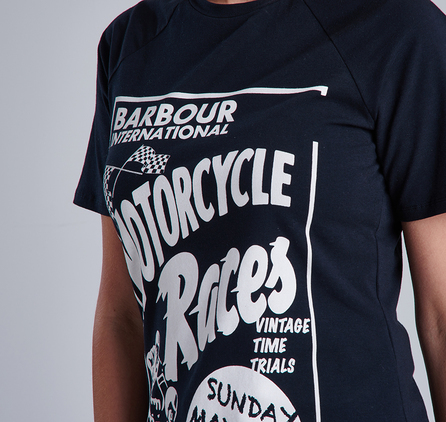 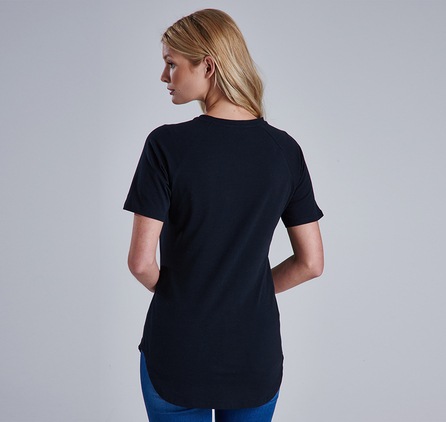 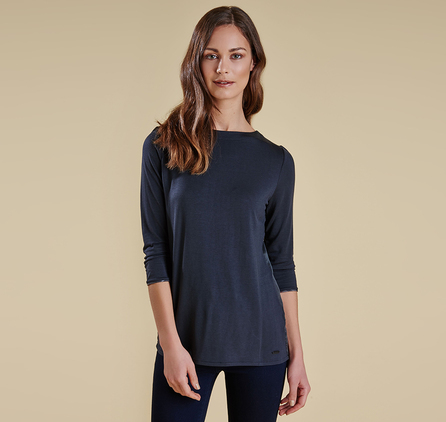 This standout women's t-shirt is made from a blend of cotton and elastane for superb comfort with added stretch. 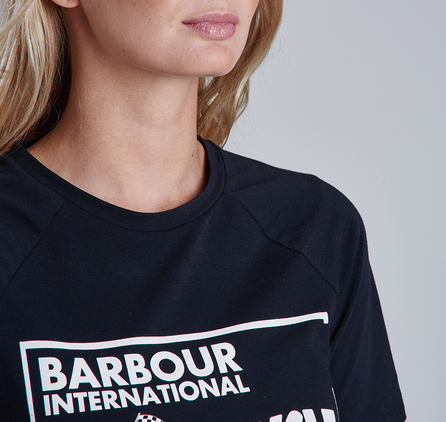 Its scoop neck and short sleeves make it both flattering and easy to wear, while the archive print adds an extra touch of character.